Oily skin is nothing short of a nightmare! Does your foundation melt away within a couple hours of applying it? Does your face tend to become oily within a few minutes of washing it? 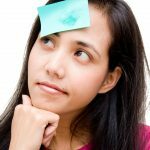 If you answered yes to these questions, you are aware of the issues oily-skinned people face. Most often than not, your skin has to deal with recurring acne breakouts. If you have been wondering what causes your skin to become oily and if there are any natural ways to tackle this issue, we have the answers! Read on to find out. This is one of the first questions asked by a majority of people who have extremely oily skin. Oily skin is a result of overly active sebaceous glands in some individuals. These glands secrete a waxy or oily substance called sebum. While sebum is vital for keeping your skin protected, healthy, and hydrated, too much of it can lead to oily skin and clogged pores. This may eventually result in acne. Many factors can cause your skin to produce more sebum and become oily. They are discussed right below. Genetics – Oily skin usually runs in families. If either of your parents has had a history of oily skin, your skin is also quite likely to be oily. Age – Adolescents and young adults are known to have oilier skin than the older lot. While this doesn’t mean that your skin will become completely oil-free as you age, it will definitely become less oily. Also, oily skin can actually help in slowing down your skin’s aging as it keeps the skin moisturized as compared those with dry skin. Climate – If the climate of the place where you live in is hot and humid, your skin is likely to produce more oil. This is why your skin is oilier in summers as compared to the winters. Enlarged Pores – Aging, acne breakouts, and weight fluctuations can cause your skin pores to become enlarged. Enlarged pores can make your skin produce more oil. Most individuals with oily skin have large skin pores. 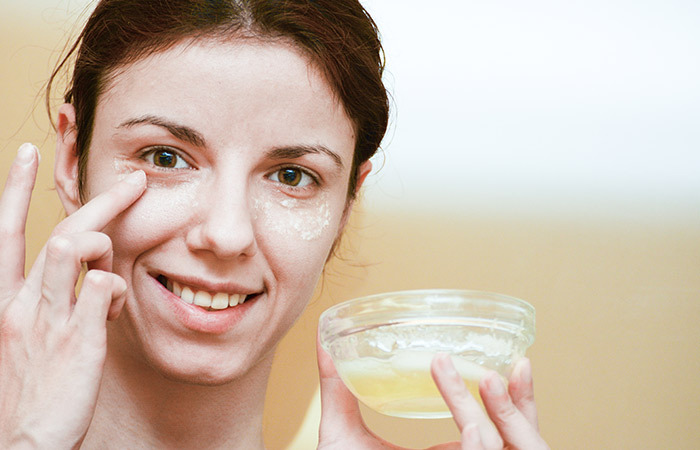 Use Of Wrong Skin Care Products – Some individuals may mistake their combination skin for dry skin and use a lot of heavy creams meant for the latter. This can cause their skin to become oilier. Nowadays, there are specific skin care products available for oily skin, so choose yours wisely. Wrong Skin Care Routine – Those with oily skin tend to wash their face at the drop of a hat. However, doing this will only give your skin temporary relief. It may, in fact, cause your skin to produce even more oil to make up for the loss. Skipping Your Moisturizer – Skipping your moisturizer can make your skin dry or oilier faster. Hence, use a light-weight, water-based moisturizer if you have oily skin. Any of the above factors or even a combination of them could be contributing to your oily skin. The common signs and symptoms that characterize oily skin are discussed below. Oily skin can be tricky to manage. 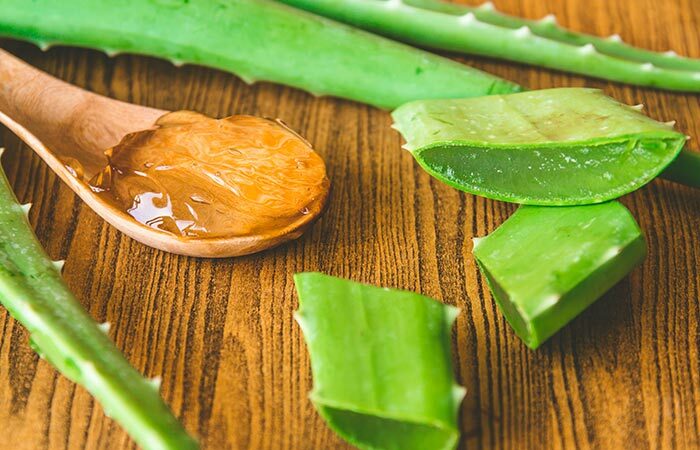 But, don’t worry, we have compiled a list of 10 home remedies that can help you combat oily skin all naturally. Wash your face with warm water and a gentle cleanser. Do not overdo the washing, and do not use a cleanser more than twice daily on your skin. Also, avoid using soaps with strong fragrances or moisturizers as these may cause your skin to produce even more oil (1). You can also use anti-acne products containing salicylic acid, glycolic acid, or benzoyl peroxide as they can help you tackle oily skin issues. Carrying blotting papers along is a must for those who have oily skin. Instead of washing your face as soon as you see it turning oily, use a blotting paper to blot out the extra oil from the problematic areas of your face. This also helps your makeup stay in place for longer. 2. 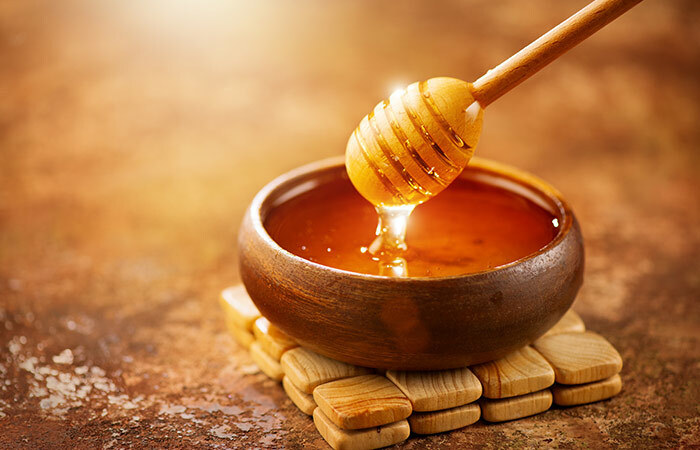 Using your fingertips, massage raw honey onto your face. 3. Leave it on for 20-30 minutes before rinsing it off. Honey acts as a natural emollient. It hydrates your skin and reduces the secretion of oil naturally. Its antimicrobial properties can also prevent acne breakouts (2). Mix half a tablespoon of ground oatmeal with a little water to form a thick paste. Leave it on for 20-30 minutes before rinsing it off with plain water. You can do this once daily or every alternate day. 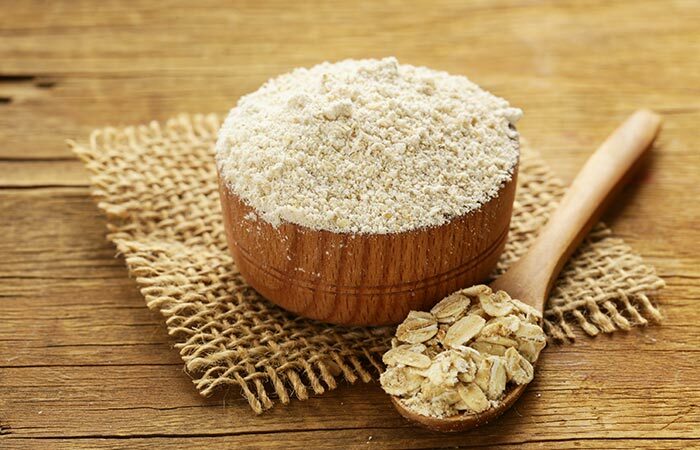 Oatmeal is a powerful ultraviolet absorber that can protect your skin from the sun. It is also a moisturizing, cleansing, and anti-inflammatory agent (3). Oatmeal can help in controlling your skin from producing too much sebum, thus preventing acne. Take an egg and separate the white from the yolk. Apply it all over your face and neck using a cotton ball. Egg whites can help in firming up your skin by stimulating the human dermal fibroblasts to produce more collagen (4). This can help shrink your pores, thus helping with oil control. Mix two teaspoons of lemon juice with two teaspoons of water. If you have sensitive skin, add a teaspoon of glycerine to the mixture. Apply the mixture to your face with the cotton ball. Leave it on for 20-30 minutes. 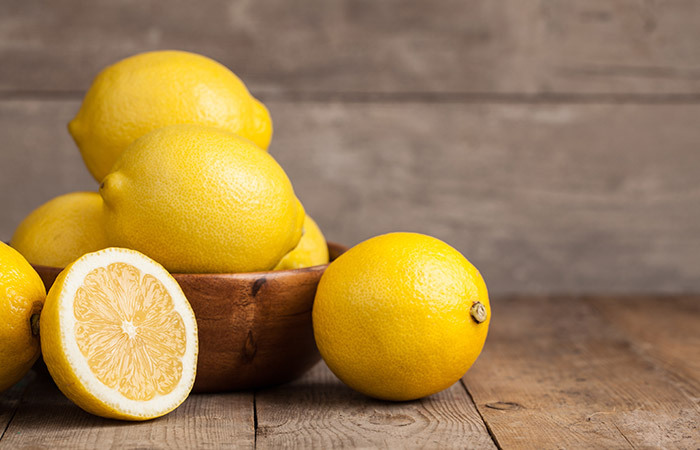 Lemons are rich in citric acid, which helps shrink the pores and controls sebum production. Lemons also possess antimicrobial properties that help kill the acne-causing bacteria (5). Take a couple of used green tea bags and refrigerate them for some time. Dab the cold tea bags all over your face. Leave the residue on for 20-30 minutes before rinsing it off. Green tea polyphenols can help in reducing sebum production and are also beneficial in treating acne (6). Apply aloe vera gel all over your face. Aloe vera exhibits astringent and moisturizing properties that help in toning the skin by reducing the size of the pores (7). This, in turn, can control the oil secreted from your skin. Cut a ripe tomato into half. Rub one half directly all over your face and neck. Leave it on for 20-30 minutes. You may do this once daily or every alternate day. 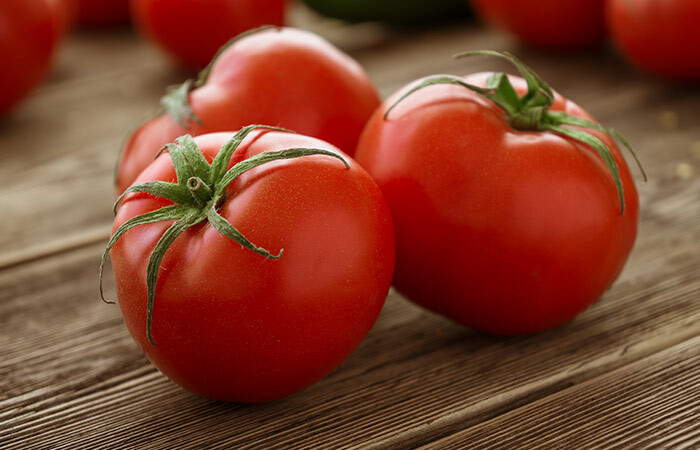 Tomatoes possess astringent properties that can help reduce the excess sebum secreted by the skin. Using your fingertips, apply some jojoba oil to your face. Leave it on for 20-30 minutes. 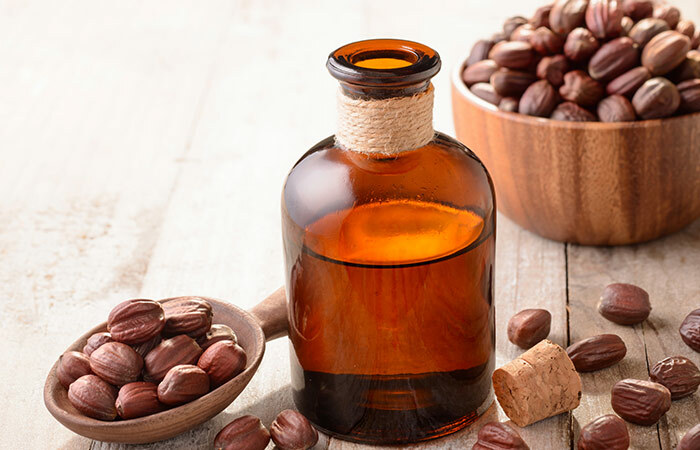 Jojoba oil is similar to sebum. It tricks your skin into producing lesser oil and prevents acne breakouts (8). While these remedies work their magic, here are some additional tips that can help prevent oily skin issues altogether. Wash your face twice daily with a mild cleanser and water. Avoid touching your skin frequently. Keep your hair away from your face as the dirt and oil from it can make your skin oilier. Find a skin care routine that works to control oily skin and stick to it. Avoid eating a lot of greasy foods. Oily skin can be managed quite well if you stick to the above tips. However, don’t lose hope if none of these remedies or tips seem to work for you. Keep trying until you find the perfect skin regimen that makes a difference to your skin. If the issue persists, visit a dermatologist to find a solution for your oily skin issues. Do you have oily skin? What do you do to manage it? If you know any hacks that might help other readers, post them in the comments section below. 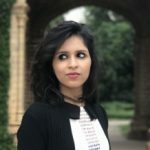 How can I stop my face from getting oily throughout the day? Following any of the above remedies and sticking to the tips will help your skin get better with time. Visit a dermatologist if nothing helps. Face washes meant for acne-prone skin that contain benzoyl peroxide, salicylic acid, or glycolic acid might help control sebum secretion. You can also use any of the mild cleansers that are specially formulated for oily skin. Does drinking water help oily skin? Drinking water helps in keeping your body well-hydrated. This reduces the need for your body to secrete too much oil (sebum). 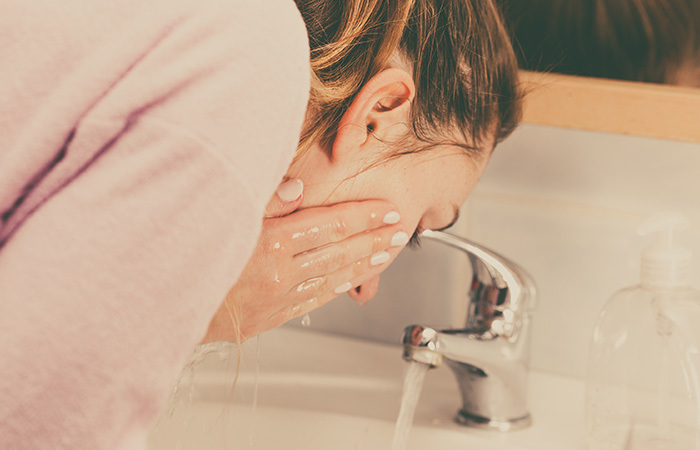 “The effect of a daily facial cleanser for normal to oily skin on the skin barrier of subjects with acne.” Cutis, US National Library Of Medicine. “Colloidal oatmeal: history, chemistry and clinical properties.” Journal of Drugs in Dermatology, US National Library Of Medicine. “Reduction of facial wrinkles by hydrolyzed water-soluble egg membrane associated with reduction of free radical stress and support of matrix production by dermal fibroblasts” Clinical, Cosmetic and Investigational Dermatology, US National Library Of Medicine. “Phytochemical, antimicrobial, and antioxidant activities of different citrus juice concentrates” Food Science & Nutrition, US National Library Of Medicine. 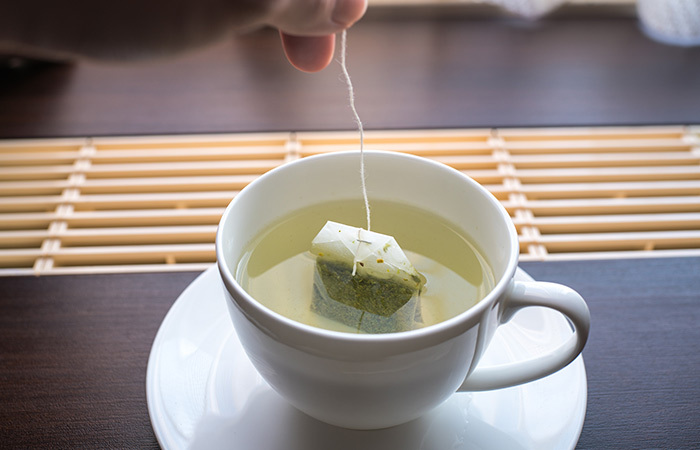 “Green Tea and Other Tea Polyphenols: Effects on Sebum Production and Acne Vulgaris” Antioxidants, US National Library Of Medicine. “ALOE VERA: A SHORT REVIEW” Indian Journal of Dermatology, US National Library Of Medicine.